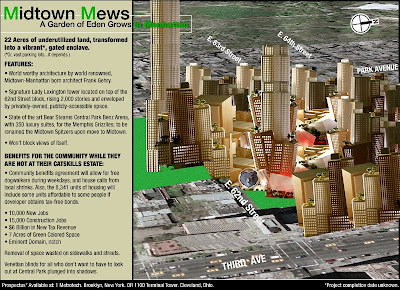 From the blog No Land Grab, via Curbed NY... of all the April Fools ephemera - this one made me laugh the most. Enjoy! ...22 Acres of underutilized land, transformed into a vibrant*, gated enclave. (*or, vast parking lots... it depends)"